For those not following this blog on twitter, I’ve updated a couple of posts with more recent data. 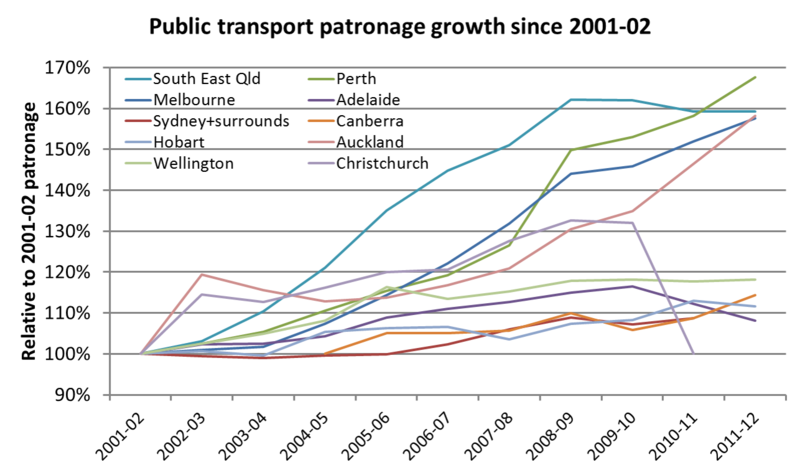 I’ve updated this post with data for the 2011-12 financial year, which shows Perth, Melbourne and Auckland continuing to post strong patronage growth. Sorry about the delay getting this out. I will try to update this post again in a few months time when 2012-13 patronage data is available for most cities. 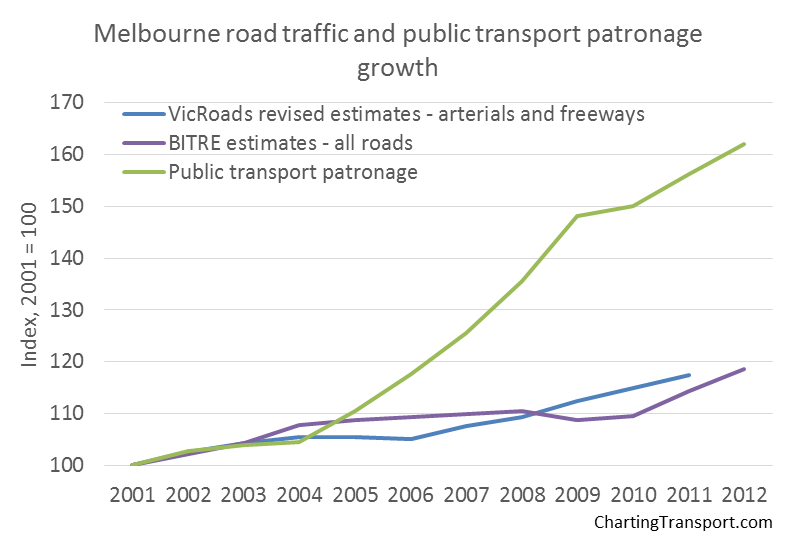 I’ve updated my post with the latest VicRoads (and BITRE) data published on Melbourne’s traffic. This entry was posted on Monday, July 29th, 2013 at 9:58 pm and is filed under Uncategorized. You can follow any responses to this entry through the RSS 2.0 feed. You can leave a response, or trackback from your own site.